I’ve decided to cheat on my TBR a little and I’ve had Daniel’s book on my TBR for ages. I had the pleasure of meeting him last year at an event in Goldsboro Books so I figured it’s high time o read this book. Especially as the follow-up, Night Market, has been released this year and I’m on the blog tour for it late next month. 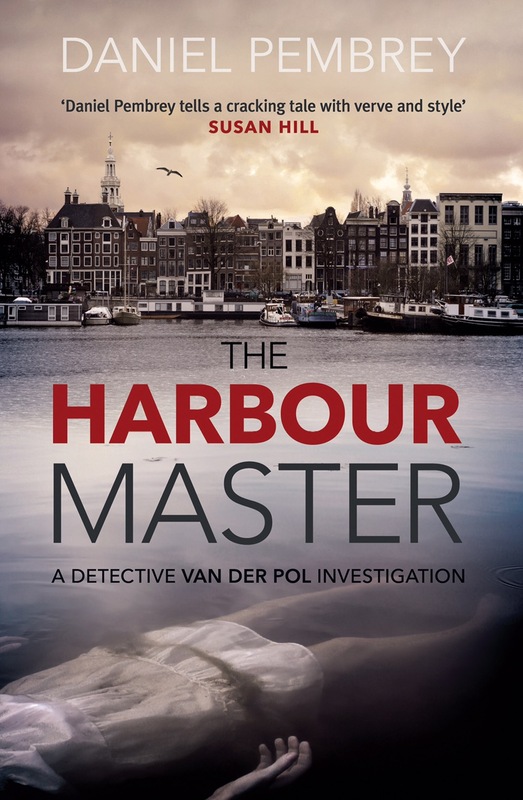 The Harbour Master follows Henk van Der Pol as he finds himself in the vicinity of the discovery of a young woman’s body in Amsterdam Harbour. What follows is a story of murder, corruption and human traffickers and Henk is unsure of who he can trust. I really enjoyed the sense of place in The Harbour Master. I’ve never been to Amsterdam but Daniel Pembrey paints a very vivid picture with his words and it sounds like a city that I would love to visit. The story itself is actually deceivingly detailed. There are many different threads, and when woven together, form a much bigger picture that the reader couldn’t possible come up with on their own. At times, I found this hard to follow, but it didn’t deter my enjoyment of the story at all. I was highly intrigued as to the why and the who throughout. The Harbour Master goes in directions I wasn’t expecting, but I was pleasantly surprised. I read it in less than 24 hours, the time passes very quickly once you become immersed in the book. I look forward to reading Night Market and catching up with Henk van der Pol. For fans of Eurocrime with a noir undertone, The Harbour Master is definitely one to add to your list!